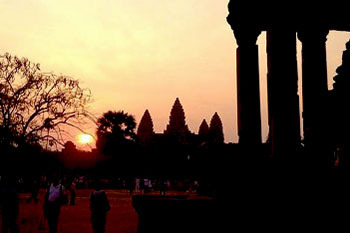 Angkor Wat “Temple City” is the famous 7th Wonders of the World, designated by UNESCO as a world heritage site in 1992. 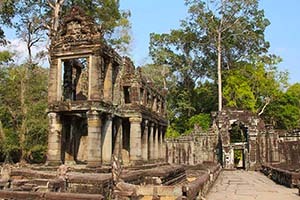 Angkor is one of the most important archaeological sites in South-East Asia. 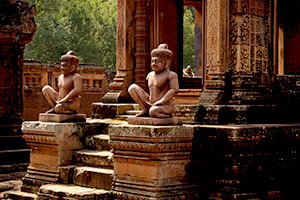 Stretching over some 400 km2, including forested area, Angkor Archaeological Park contains the magnificent remains of the different capitals of the Khmer Empire, and is the largest religious monument in the world as well as the soul of Cambodia. 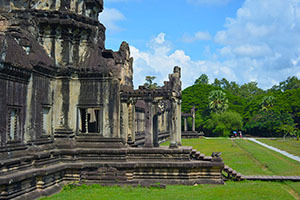 The temple was built in the early 12th century under the reign of King Suryavarman II, was originally constructed as a Hindu temple for the Khmer Empire, gradually transforming into a Buddhist temple toward the end of the 12th century. Beyond Angkor Wat temple, the ancient complex has much more to be discovered including South Gate, Angkor Thom consisting Bayon with incredible towers admired by smiling faces and the intertwined tree roots “Jungle Temple” of Ta Prohm within the small circuit which is considered for your full day discover while you can continue to plan for Day 2 to visit Intricately Carved Banteay Srei Temple, Rolous Group or Grand Circuit with Preak Khan, Ta Keo, Neak Pean, East Baray, Banteay Kdei, Srah Srang and so on. 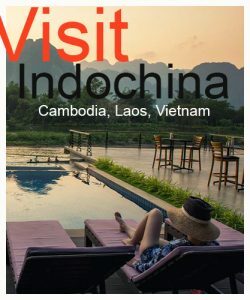 A full day guided tour takes you to the main tourist attraction of Angkor included South Gate of Angkor Thom atop with 4 giant faces dedicated to 4 elements of happiness, smiling faces of Bayon, unlock the stunning tree roots of Ta Prohm before visit magnificent Angkor Wat. Visit spectacular sunrise over Angkor’s towers where you capture picturesque photos of sunrise reflection at the lotus pond then enjoy fully guided tour to explore the magnificent Angkor Wat, Bayon with hundreds of smiling faces in stone, Angkor Thom & Ta Prohm temple. From visiting the major capital of Angkor era, known as the first great Khmer temples to well the preserved intricately carved Banteay Srei and Banteay Samre temple, the grand Angkor discovery tour is also admired by beautiful sunset overlooking the rice paddies at Pre Rup. 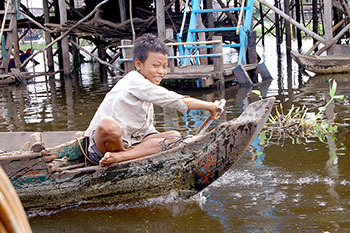 Ideally combined 2 main popular tourist attraction of Siem Reap besides Angkor Wat, Tonle Sap great lake features the daily life of people living in the floating community and unlock the ecological biosphere before visit Banteay Srei which features elaborate decorations and its finest details. This is a great outlying adventure, combined of 3 interesting, popular spots. 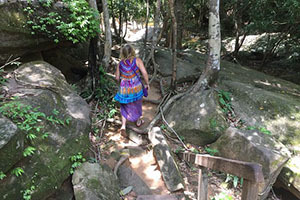 Have a short hike at Kbal Spean to reveal river bed of 1000 linga carvings, continue to visit the most intricately carved Banteay Srei temple and experience amazing adventure at the lost temple “Beng Mealea”. Adventure the lost temple “Beng Mealea” in the lush jungle, was constructed in the 12th century then continue visit Kompong Khleang where you witness lifestyle animated by fishing activities in stilt house/floating communities and learn more about finishing techniques. 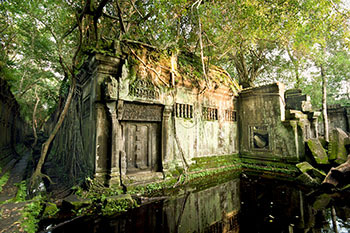 Amazingly venture the lost temple “Beng Mealea” in the lush jungle, was constructed in the 12th century then continue visit Kompong Phluk village – provides a great boat adventure around the mangroves and stilted houses with interesting daily activities on Tonle Sap Lake. The well-known national park offers the best relaxation adventure tour to unlock beautiful waterfall and its historical “God of the King”. 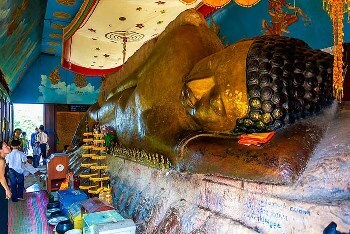 Enjoy guided walking tour to Preah Ang Thom where Giant Buddha statue is laying, religiously respected as special, holy place for locals to pray for happiness. 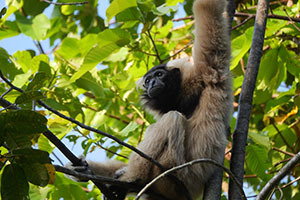 The tour offers best valued adventure to the well-known national park of Phnom Kulen waterfall, unlock beautiful waterfall and its historical “God of the King” then continue to experience the real guided walking adventure tour around the lost temple “Beng Mealea”. 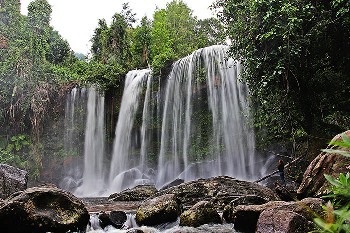 Experience fully guided adventure tour to the well-known national park of Phnom Kulen waterfall where you unlock beautiful waterfall, 1000 linga carvings, giant reclining Buddha statue and its historical “God of the King”. 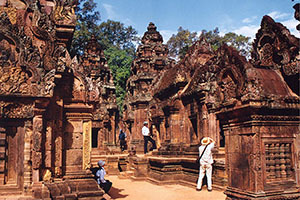 Tour is admired by most intricately carved sandstone Banteay Srei temple.